Workflow By Design - Worried About Meeting the New FDA Label Requirements? 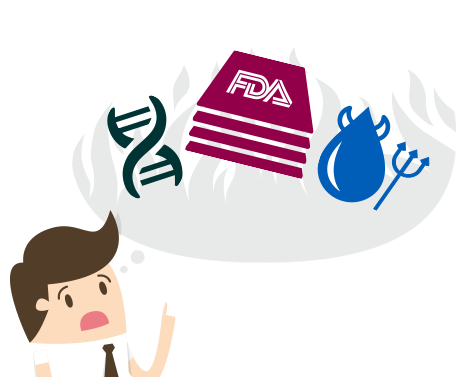 Worried About Meeting the New FDA Label Requirements? Don't Know How to Handle GMO Labeling? Stuck in Trans Fat Hell? Our Workflow Makes it Simple! For a limited time, WBD is offering a pre-configured workflow solution for your FDA label updates - complete with auto generated tasks & milestones, scheduled reports, step-by-step How to Guides, free project management support, and total outsourcing opportunities! The Sooner You Implement Workflow, the More You'll Save! Call us at 978-998-6611 or complete the form to request a demo. With the compliance date of the FDA’s new labeling requirements quickly approaching and your workflow logistics looming, our pre-configured solution is here to streamline your workflow process. WBD’s easy-to-use software, along with our team of experts, can seamlessly migrate your current packaging information into our system and allows for intuitive updating - saving you time, money, and unnecessary headaches! 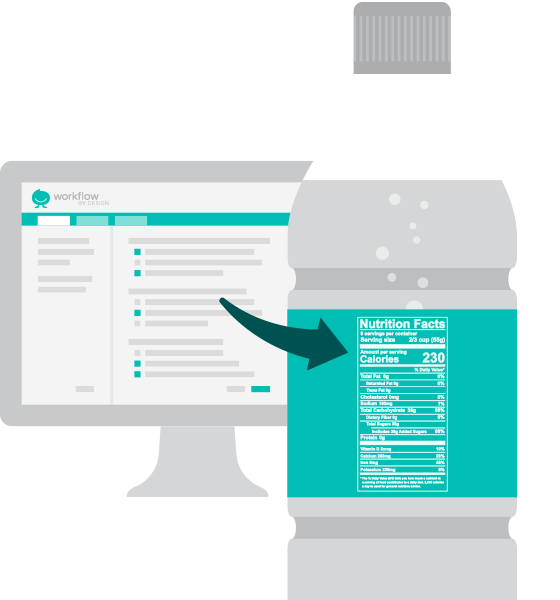 Manage all the SKUs in the program from ingredients review through updated labels and packaging, all while keeping everyone up to date and focused on the actions necessary for success. Contact all suppliers for ingredients information. © Copyright 2016 Workflow by Design, LLC. All rights reserved.